Leeds has been chosen as one of only three towns in England to host a special free one-day national roadshow full of seminars and workshops to help smaller business owners. Britain’s biggest business representation group, the Federation of Small Businesses (FSB), has announced it will stage three major roadshow events in Windsor, Leeds and Bristol in the autumn and smaller business owners – whether they are FSB members or not – are being invited to attend to receive practical advice and support to help their businesses. The Leeds Roadshow will take place on Tuesday 4 October, at the Royal Armouries, Leeds, LS10 1LT, and it is hoped that hundreds of SME owners from the region’s thriving business community will attend. Free seminars will run throughout the day on subjects including how to make the most of social media in business, the increasing risk of cybercrime to businesses, what SMEs need to do to ensure they have the right auto-enrolment pension plan in operation and the vital role played by female business owners. In addition there will be informal networking sessions An exhibition area for business owners to speak face-to-face with providers and sponsors. The event is sponsored by FSB Insurance Service, Biffa, Microsoft and Epson who will be on hand at the event to offer support and advice. 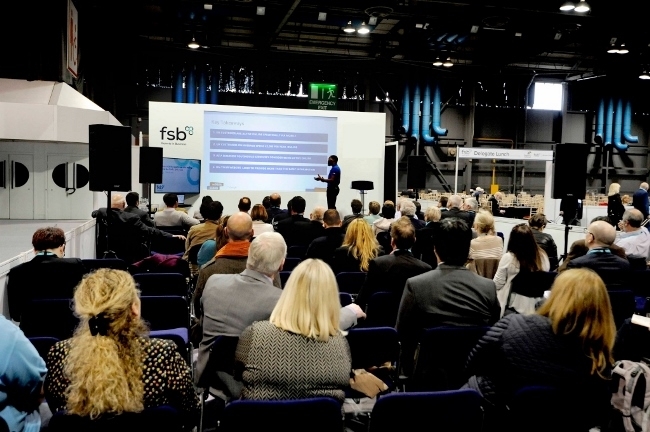 FSB is staging the events to ensure that their members are getting practical support and advice – and also to show potential members the benefits of joining the 170,000 strong organisation. Gordon Millward, the chair of the FSB’s South and East Yorkshire Region, said he hoped small business owners in the region would fully benefit from the roadshow. He added: “It is fantastic news that Yorkshire has been chosen to stage one of these three national FSB Roadshows and it will be a great opportunity for us to showcase to visitors from the outside the area just what a vibrant and exciting small business culture we have here. “Each of the professionally-led roadshow seminars on the day will offer attendees an insight into practical ways of dealing with the issues they face to on a daily basis. And hopefully it will also give them tips and advice which can make their businesses even more successful. More details of the seminar programme – and the local VIP guest who will be opening the day – will be available shortly but anyone who would like to register to attend now or enquire about sponsorship opportunities or exhibiting at the Leeds FSB Roadshow, should go to fsbroadshows.org.uk or call 0808 2020 888.